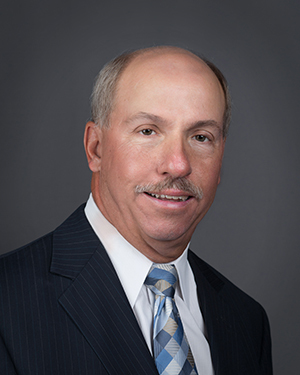 Mark Angott started out in business in 1976, as a graduate of Michigan State University (BA in Accounting), working as a controller for a small company. In 1981, he joined ASG as an account manager, and nine years later, he took over the company. Soon afterward, he added a Financial Services practice, which now serves as the foundation for ASG’s service offerings. Throughout his career with ASG, Mark has recruited in the financial services sector. He possesses a wealth of knowledge about the industry and its people, and has led the office in billings for many years. Mark believes very much in the principles of honesty, integrity and professionalism, and takes pride in leading by example, working with a highly-competent team to recruit top-level talent to ASG’s client companies. His core philosophy is that the customer is king, and that the service does not end with recruiting. Once outstanding talent is in place, Mark continues to act as an advisor on matters of staffing and talent management. He works closely with clients, representing them in the marketplace in order to help them grow their business. In addition to his commitment to ASG, Mark takes spirituality and community involvement seriously. He currently serves on the Lutheran Heritage Foundation Board of Directors, and is Board Vice Chairman of Trinity Lutheran Church in Utica, MI. For over the past 35 years, he has also served as basketball coach for both the girls’ and boys’ teams at Trinity Lutheran School. Mark has been married for 40 years to Donna, and is the proud father of two daughters and two grandchildren. When not working or coaching, Mark enjoys a good game of golf and his bucket list includes traveling and playing some of the world’s top courses. Mark also appreciates reading inspirational books, like former UCLA head basketball coach John Wooden’s books on life, leadership, and what it takes to succeed.